Durango, CO – Representatives from Madcap Logic LLC announced today the popular children’s toy review site DrToy.com has added Madcap Logic’s Creativity Express to a pair of its recommended lists. Creativity Express has been recognized as a “Top 10 Creative Products” as well as a member of 2008’s “Top 100 Best Products for Kids”. The award-winning site www.drtoy.com is a free public service provided by The Institute for Childhood Resources. Dr. Toy was the first website to provide information on the best in children’s and educational products. Dr. Toy also produces the popular online magazine Dr. Toy’s Guide. Dr. Toy is the moniker of noted child development authority Stevanne Auerbach, PhD. Dr. Auerbach developed the Dr. Toy awards program to recommend safe, affordable, educational and stimulating products and toys for children. Products are evaluated according to several criteria including design, durability, value and fun. Products listed on the Dr. Toy website are typically those exhibiting the highest level of safety, creativity and innovation in the marketplace today. 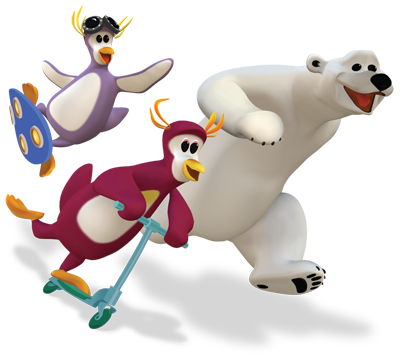 About Creativity Express: Creativity Express was created by former animators and production experts from The Walt Disney Company. The Home Edition provides interactive educational software for children ages 7-12 and features a blend of animated movies and interactive activities that teach principles of art and provide tools for creative self expression. The School Edition includes an animated art curriculum and enrichment program with sixteen interactive lessons, student tracking and teacher lesson plans. An online version of Creativity Express is available via subscription. This entry was posted on Tuesday, September 16th, 2008 at 10:43 am	and is filed under Madcap Logic Company News. You can follow any responses to this entry through the RSS 2.0 feed. Both comments and pings are currently closed.